Become an aerial superstar as you fly through the air at Latitude. 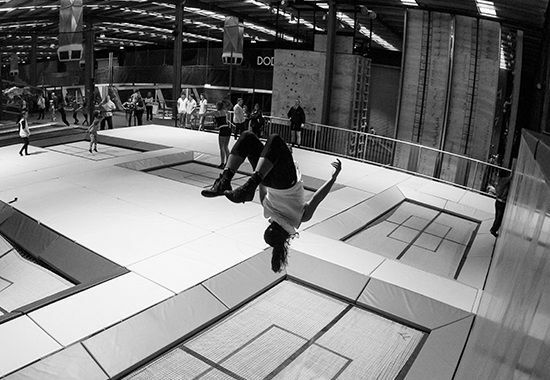 Best of all, you get access to all activities during your session, so you can bounce, climb and fly! 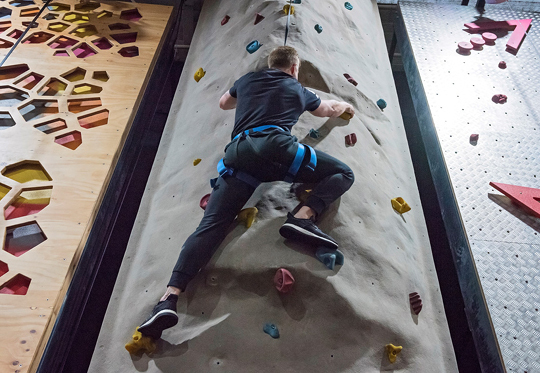 Rock climbing, performance trampolines and The Grid are waiting for you! Master the 8 meter high climbing walls and ramp up the action on our dual Perspex racing walls. Nothing spurs you on more than when you can see your competitor right in front of you. Our Bungee Tower is where the training wheels come off and we set you free to fly high! Feel the rush of your life when you free fall for a few seconds from the tower.